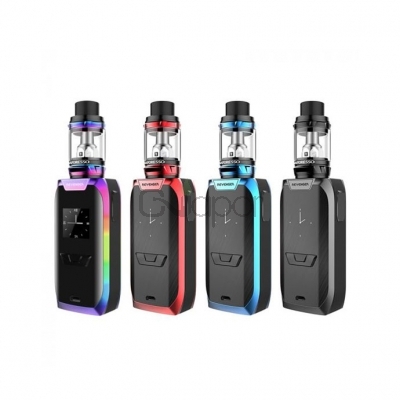 Vaporesso Revenger Kit includes a Revenger 220W Mod and a NRG 5ml tank. 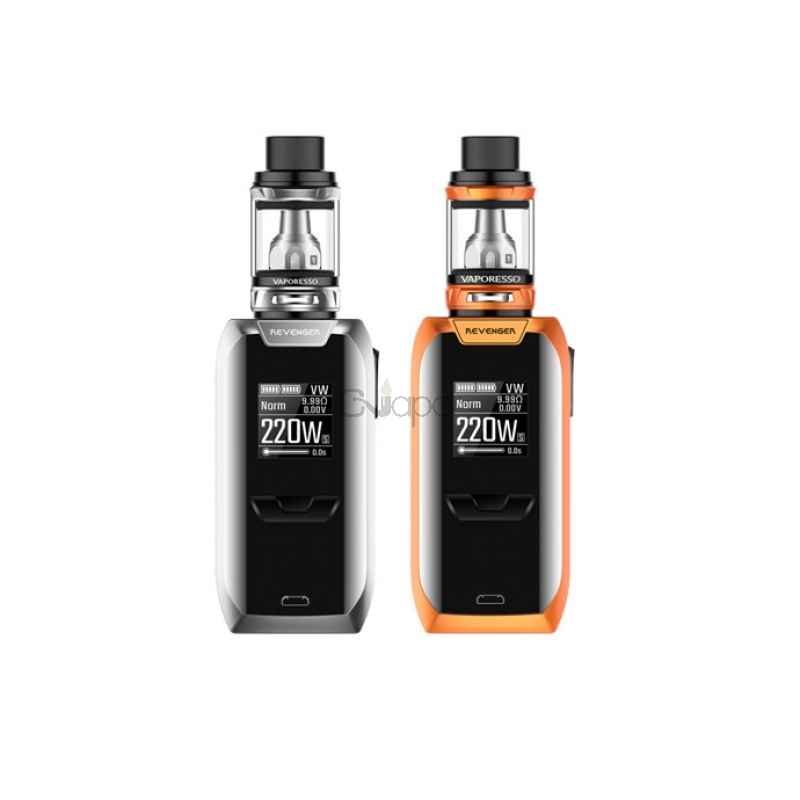 The Revenger mod comes with the most advanced chipset OMNI Board 2.0 with a range of 5 to 200W. It also features the In-Mould Labeling(IML) case for greater wear resistance, graphic quality and fine texture. 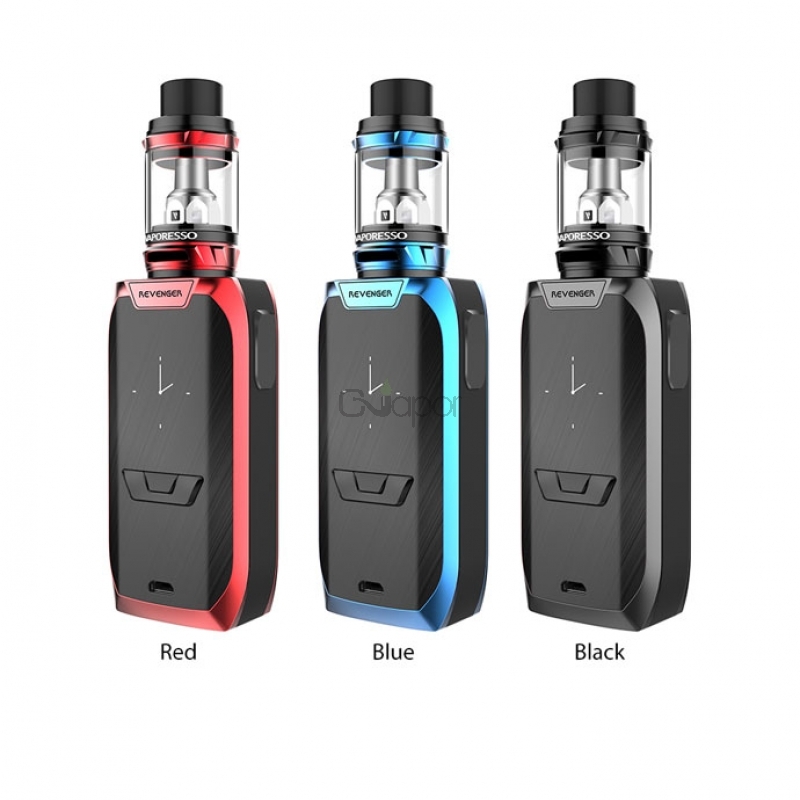 The mod is powered by dual 18650 cells. The ergonomic design integrates the all metal fire button on the side for better grip and the industry leading OLED screen with the mode buttons on the side. 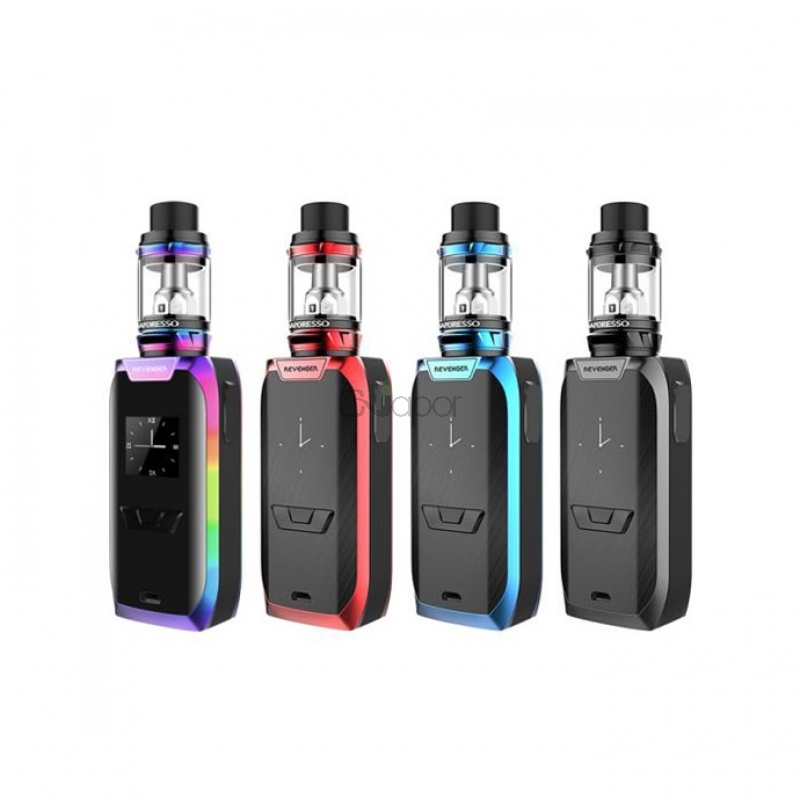 The NRG tank features 5ml large capacity and can apply with various types of GT Cores to provide different vaping experience. The mesh drip tip with the specially crafted structure will prevent any spit back. It comes with slide-n-fill design, makes refill easier.